Mahatma Gandhi counseled that we must “be the change we want to see in the world.” The 2015-16 E.N. Thompson Forum on World Issues welcomes four activists who have embraced his advice. While they champion diverse causes, all possess a compelling fusion of courage, intelligence and charisma, which allows them to share their messages of transformation with the global community. “Activism” will examine the origins of activists and the characteristics of effective social and political movements, narrated with candor by men and women who have inspired generations. JOSE ANTONIO VARGAS Sept. 15, 2015 - 7 p.m.
BILL MCKIBBEN Oct. 6, 2015 - 7 p.m.
WES MOORE Jan. 19, 2016 - 7 p.m.
SHERYL WUDUNN Feb. 23, 2016 - 7 p.m.
JOSE ANTONIO VARGAS September 15, 2015 - 7 p.m. 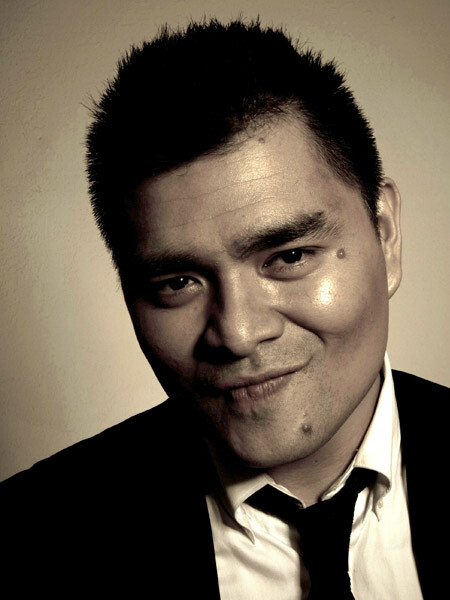 In 2011, journalist Jose Antonio Vargas “outed” himself as an undocumented immigrant in an essay published in The New York Times Magazine. The article stunned media and political circles and attracted worldwide coverage. Vargas has since testified at a United States Senate Judiciary Committee hearing on immigration reform, and has been at the forefront of challenging the media's coverage of undocumented immigrants. His film, “Documented,” chronicles his own journey while closely exploring the plight of other undocumented immigrants in America and the politics that surround the hotly contested issue of “legal status.” CNN debuted the film in June 2014. Vargas is the founder of Define American, a media and culture campaign that seeks to elevate the conversation around immigration and citizenship in a changing America. He is also working with the Los Angeles Times to create #EmergingUS, a new section focused on race, immigration and multiculturalism. He has been a senior contributing editor at The Huffington Post, where he launched the Technology and College sections and created the Technology as Anthropology blog, which focuses on tech’s impact on people and how they behave. He covered tech and video game culture, HIV/AIDS, and the 2008 presidential campaign for the Washington Post, and was part of the team that won a Pulitzer Prize for covering the 2007 massacre at Virginia Tech. His 2006 series on HIV/AIDS in Washington, D.C. inspired a feature-length documentary — The Other City — which he co-produced and wrote. The film premiered at the 2010 Tribeca Film Festival and aired on Showtime. For Jose Antonio Vargas, the political is deeply personal. In his speech, Vargas will draw the audience into his own life story, sharing details of his journey to America from the Philippines as a child; his travels through America as an immigration reform activist; and his reunion with his mother, whom he hadn't seen in over 20 years. Weaving personal anecdotes with those of countless other undocumented immigrants in America, Vargas poignantly explores one of the most divisive questions facing our country today: how do you define American? BILL MCKIBBEN October 6, 2015 - 7 p.m.
Bill McKibben is an author and environmentalist who in 2014 was awarded the Right Livelihood Prize, which is frequently referred to as the ‘alternative Nobel.’ His 1989 book “The End of Nature” is regarded as the first book for a general audience about climate change, and has been translated into 24 languages; he’s gone on to write a dozen more books. He is a founder of 350.org, the first planet-wide, grassroots climate change movement, which has organized twenty thousand rallies around the world in every country save North Korea, spearheaded the resistance to the Keystone XL Pipeline, and launched the fast-growing fossil fuel divestment movement. The Schumann Distinguished Scholar in Environmental Studies at Middlebury College and a fellow of the American Academy of Arts and Sciences, McKibben was the 2013 winner of the Gandhi Prize and the Thomas Merton Prize, and holds honorary degrees from 18 colleges and universities. Foreign Policy named him to their inaugural list of the world’s 100 most important global thinkers, and the Boston Globe said he was probably “America’s most important environmentalist.” A former staff writer for the New Yorker, he writes frequently for a wide variety of publications, including the New York Review of Books, National Geographic, and Rolling Stone. In 2014, biologists honored him by naming a new species of woodland gnat — Megophthalmidia mckibbeni–in his honor. 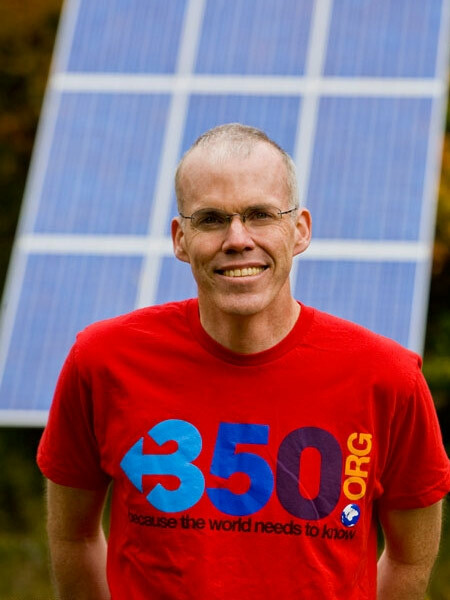 In the weeks before the world gathers in Paris for the United Nations Climate Change Conference, Bill McKibben will provide an update on how the movement to slow global warming is progressing, both in the United States and around the world. He will share inspiring examples of grassroots climate-focused actions that have been launched by 350.org members in more than 188 countries; then, he will turn his focus to his host state and highlight ways in which Nebraskans can become involved in advocating and campaigning on global environmental issues. WES MOORE January 19, 2016 - 7 p.m. 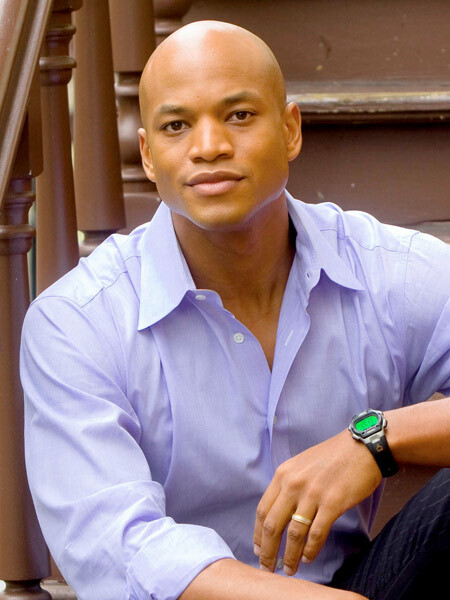 Author Wes Moore is a veteran, Rhodes Scholar and the founder of BridgeEDU. His most recent book, “The Work,” is a New York Times bestselling collection of lessons about what it means to create lives that matter, which has been heralded as a model for how we can weave valuable lessons together from supremely different people in order to forge individual paths to triumph. Moore has been featured by USA Today, Time Magazine, People Magazine, Meet the Press, The Colbert Report, MSNBC and NPR. He host’s Beyond Belief on the Oprah Winfrey Network, and is the executive producer and host of PBS’s “Coming Back with Wes Moore,” which focuses on the re-integration of Iraq and Afghanistan veterans upon their return home. Wes Moore knows that being a leader—both in your personal life and in the business world—comes down to one thing: personal responsibility. Drawing on his experiences as a leader in the public and private sectors and in the military, Moore explains that embracing your own personal responsibility – and holding yourself accountable for your choices – is a quality that makes great "transformational leaders": leaders who create a vision, then inspire and empower those around them to execute that vision. In December 2000, the Baltimore Sun ran a small piece about Wes Moore, a local student who had just received a Rhodes Scholarship. The same paper also ran a series of articles about four young men who had allegedly killed a police officer in an armed robbery. The police were still hunting for two of the suspects who had gone on the lam, a pair of brothers. One was named Wes Moore. Moore couldn’t shake off the unsettling coincidence, or the inkling that the two shared much more than space in the same newspaper. After following the story of the robbery, the manhunt, and the trial to its conclusion, he wrote a letter to the other Wes, now a convicted murderer serving a life sentence. His letter tentatively asked the questions that had been haunting him: Who are you? How did this happen? With stories of heart-wrenching losses and moments of surprising redemption, Moore describes a genera-tion of boys trying to find their way in a challenging and, at times, hostile world. SHERYL WUDUNN February 23, 2016 - 7 p.m. Note: Due to the extreme winter weather forecast, this lecture was rescheduled for Tuesday, February 23. All original tickets are still valid and will be accepted; there is no need to request new tickets for this event. The first Asian-American reporter to win a Pulitzer Prize, Sheryl WuDunn has journeyed through several industries, from banking to journalism and book writing. Her latest book, “A Path Appears,” is about spreading opportunity and making a difference in the world. Her previous book, the best-selling “Half the Sky: Turning Oppression into Opportunity for Women Worldwide,” (co-written with her husband, Nicholas Kristof,) had an immense impact on exposing the plight of oppressed peoples around the globe, sparking activism and a new sense of awareness worldwide. Thanks to the book’s popularity and global impact, it soon grew into a multi-platform digital media effort that now includes a highly popular documentary series on PBS, mobile games and an online social media game on Facebook. A former vice president at Goldman Sachs, WuDunn possesses an adept understanding of macro and micro economic trends. Selected as one of Newsweek’s “150 Women Who Shake the World,” she has co-taught on China as part of a global affairs course at Yale University. She frequently discusses economics on major television and radio programs, including Bloomberg TV, Fox Business News and National Public Radio. The greatest unexploited resource in the world today isn't oil or gold or wind. It’s women. While there is no simple economic formula for overcoming global poverty, there is growing evidence that one of the simplest and most effective ways is to educate girls, empower them with knowledge and the ability to make their own decisions, and then help them develop financial independence. That way, they are integrated into their local economy, and potentially, the larger economy of the world. WuDunn will share stories that serve as reminders of a fundamental truth about gender injustices around the world: girls aren't just the problem or the victim; they're also the solution, and their ingenuity and courage is beginning to spread with many helping hands from the West. There is a growing realization that when you educate a girl, you educate a village. And there are a growing number of ways to tap into this increasingly globalized network of empowering women around the world. Lectures are streamed online at http://enthompson.unl.edu/, and are available live on Lincoln Time Warner Cable digital channel #80, channel #71.16 without a cable box, UNL campus channel 4, and UNL KRNU radio 90.3 FM. All lectures are interpreted for the deaf and hard of hearing. Pre-talk is delievered by an expert on the topic in the Steinhart Room 30 minutes before each Forum.